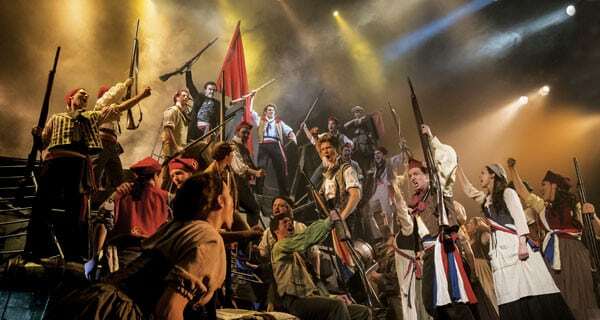 Cameron Mackintosh’s enthralling production of Les Miserables has been seen by over 70 million people, staged in 43 countries and in 22 languages all over the world. 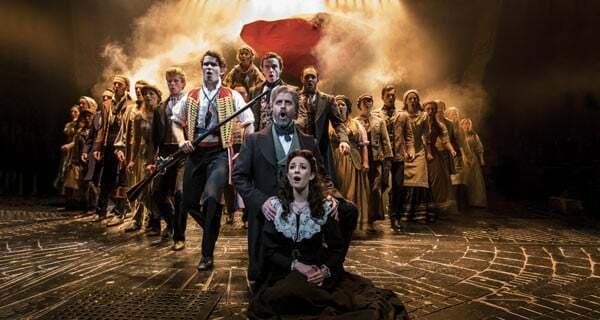 Les Miserables is now in its 31st year on the West End Stage and is officially the longest-running musical in the world. Victor Hugo’s beautiful and timeless tale of crushed dreams, unreciprocated love, sacrifice and salvation is brought to life on stage with music and lyrics by Boublil and Schonberg (Miss Saigon, Martin Guerre, Marguerite), and is still as gripping and vital as when it was first staged all those years ago. Alongside Cats, The Phantom Of The Opera and Miss Saigon, Les Miserables is one of Cameron Mackintosh’s famed eighties mega-musicals. These shows broke the mould for musicals and went on to become the biggest-selling musicals in the world. Jean Valjean, having broken his parole, is on the run, pursued by the tireless, merciless policeman, Javert. In a world where leaving your past behind proves hard, Valjean’s promise to care for Cosette, the orphaned daughter of factory worker, Fantine, sees their lives altered like they could never have imagined. Set against the backdrop of revolutionary France, Les Miserables is a tribute to the enduring nature of love, forgiveness and the unbreakable nature of the human spirit. 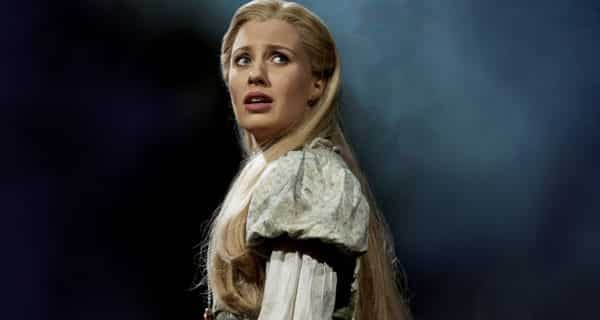 Les Miserables is entirely through-sung – that is there is no spoken dialogue in the show. It contains songs like On my Own, Bring Him Home, Empty Chairs At Empty Tables, Stars and I Dreamed A Dream which was the song that launched Susan Boyle during her appearance on Britain’s Got Talent around the world. 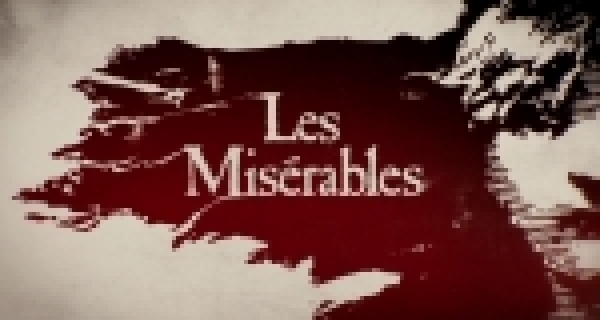 In 2012 Les Miserables was turned into a movie featuring Hugh Jackman, Russell Crowe, Anne Hathaway, Eddie Redmayne, Sasha Barron Cohen, Helena Bonham Carter and Aaron Tveit. The movie is on track to become the highest-grossing movie musical ever. There are approximately 101 cast and crew directly involved in every performance, not including front of house staff, ticket sales, wardrobe staff, set contractors, maintenance, office staff, advertising and publicity. Each performance entails some 392 costumes consisting of over 5000 items of clothing and 85 wigs. On 18th November 2004 a special concert performance was given at Windsor Castle in honor of the President of the French Republic and Jacques Chirac to celebrate the centenary of the Entente Cordiale. BritishTheatre.com has teamed up with top London hotels to provide you with a range of theatre breaks that you can choose for that special occasion. 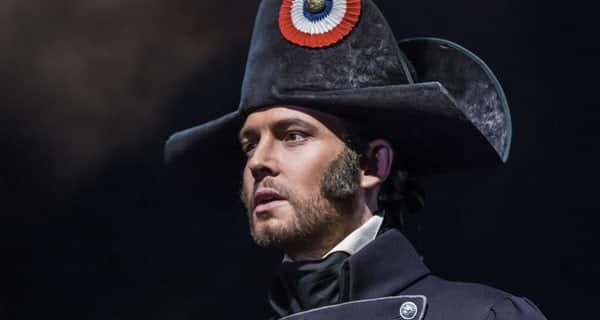 Create an exciting experience around your next visit to Les Miserables without breaking the bank. Click here for Les Miserables Theatre Breaks. 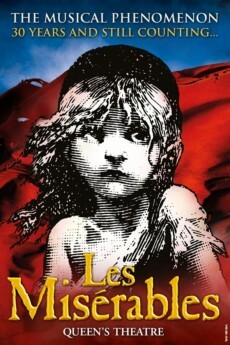 Britishtheatre.com offer great Group Booking rates to Les Miserables. Just click the BUY TICKETS button on the top right of this page and then click the REQUEST A GROUP BOOKING option when asked the number of seats you require. 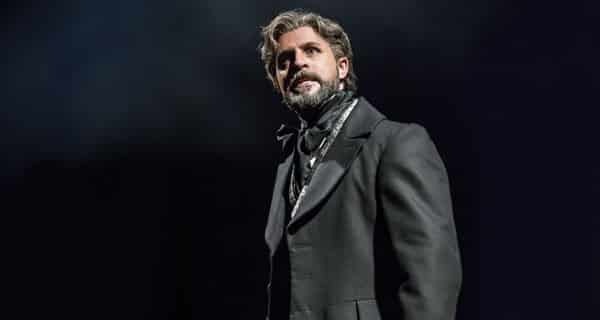 Britishtheatre.com is the one-stop online box office for tickets to Les Miserables and for the best seats to the best shows in London’s West End. 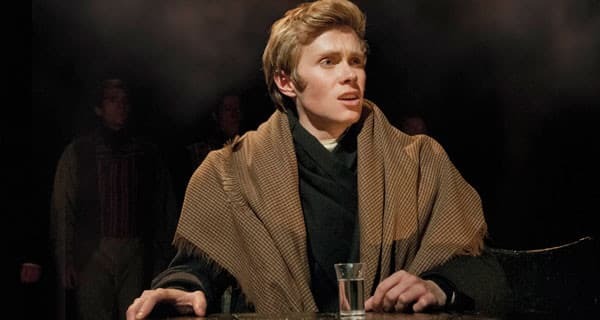 Whether this is your first trip to Les Miserables or whether you are a fan who visits regularly, we will do our best (together with our ticketing partners) to ensure that you get great deals on theatre tickets and the very best of service. We hope to facilitate your trip to Les Miserables at London’s Queen’s Theatre and hope that you enjoy the show. 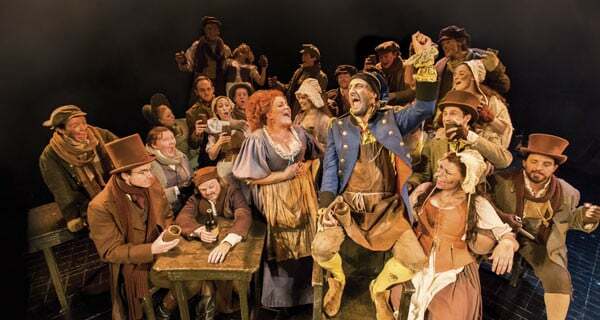 BOOK TICKETS TO LES MISERABLES NOW! For all its legions of fans, there are many who would sniff at this revived ‘Les Miserables’, branding it ‘opera lite’. In a sense they would be right: all this histrionic bombast is only really making soap opera respectable. But so what. This updated and improved production is a real rabble-rouser and while it may be tosh, it’s still stirring, beautifully made Cameron Mackintosh. In all key respects, Trevor Nunn’s original RSC staging has stood the test of time well: the revolve whirls tirelessly, lending a cinematic fluidity to a bustling, beautifully lit spectacle which, using John Napier’s pile-it-high design and tons of dry ice, memorably evokes the 1832 Paris uprising, when the downtrodden masses (some of them) protested against the monarchy of Louis-Philippe. With its emphasis on poverty and injustice, mood of angry disillusion and yearning for redemption, it may be that the through-sung piece speaks more to our own troubled age than it did to the Eighties..
Les Miserables moves theatre as Queens Theatre undergoes renovation.